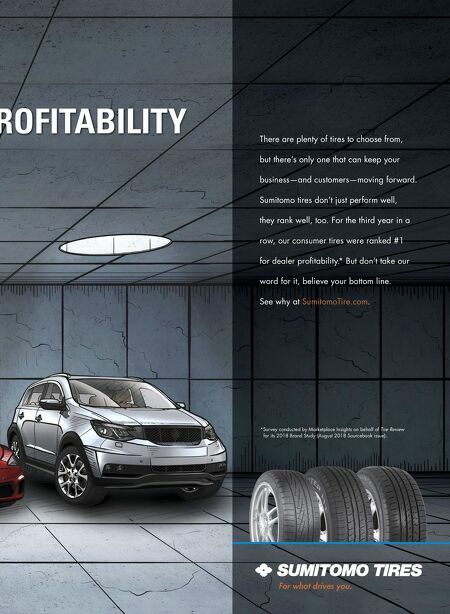 PROFITABILITY For what drives you. There are plenty of tires to choose from, but there's only one that can keep your business—and customers—moving forward. Sumitomo tires don't just perform well, they rank well, too. 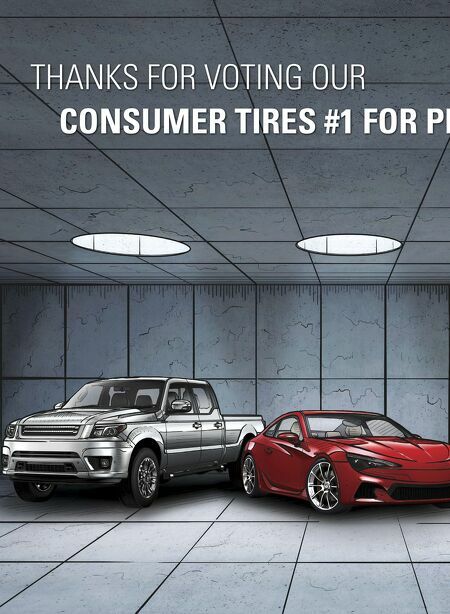 For the third year in a row, our consumer tires were ranked #1 for dealer profi tability. * But don't take our word for it, believe your bottom line. See why at SumitomoTire.com . *Survey conducted by Marketplace Insights on behalf of Tire Review for its 2018 Brand Study (August 2018 Sourcebook issue).